2013 marked the 50th anniversary of the establishment of the Kilkenny Design Workshops, a visionary state-sponsored design agency set up by William Walsh of Córas Tráchtála following the 1961 Scandinavian Report on Irish design. The legacy of the Kilkenny Design Workshops is hugely significant locally and nationally, as well as bearing an international impact. The Design & Crafts Council of Ireland (DCCoI) is working in partnership with key stakeholders in Ireland and the UK in the form of a new KDW Legacy Committee. This committee was established in 2014 following DCCoI's and the National Design & Craft Gallery's KDW@21C Conference and events in October 2013. As part of its remit the new KDW Legacy Committee are working to develop a physical and digital permanent record of KDW’s history and legacy through the collection of objects, prototypes and designs. The Heritage Council of Ireland has recently awarded DCCoI a grant to support the building of an initial KDW Permanent Collection. The purpose of developing and documenting this collection is to preserve the heritage and history of KDW for current and future generations; as a seminal design consultancy and important educative body, which greatly influenced design practice and introduced modernist design thinking in Ireland. DCCoI are delighted to support this very important legacy project to acknowledge the influence of the Kilkenny Design Workshops on Irish craft practice and design culture. 2013 marked the 50th anniversary of the establishment of the Kilkenny Design Workshops [KDW], a visionary state-sponsored design agency. KDW was founded by William Walsh of Córas Tráchtála, following his visit to Plus Workshops in Norway in 1962 and the influential Design in Ireland audit in 1961 [also known as The Scandinavian Report] which was conducted by five Scandinavian design experts. Design work began at Kilkenny Design Workshops from 1963 providing design service for industry, with KDW officially launching in 1965. The KDW@21C conference was hosted by the Crafts Council of Ireland [CCoI] and the National Design & Craft Gallery (NDCG), to mark the 50 year anniversary of the initiation of KDW. The conference sought to investigate the continuing legacy and acknowledge the influence of the workshops on Irish design practice and design culture. The Remembering KDW Event happened in Butler House on Sunday afternoon and allowed former KDW workers to catch up with one another. The story of Kilkenny Design Workshops is presented through a free KDW iPad App available to download from the App Store. The app can also be viewed in the National Design & Craft Gallery and in the ID2015 Design Hub, Coach House at Dublin Castle. Enjoy interactive elements; audio clips from KDW alumni, photographs from the era, rich archival film footage and family documents; some of which have been made public for the first time. Podcasts from the KDW@21C Remembrance Event are available to listen to here. View photographs from the KDW@21C Conference in Kilkenny Castle on Saturday 26th October 2013 here. View photographs from the KDW@21C Remembrance Event in Butler House on Sunday 27th October 2013 here. Book: 'Designing Ireland. A retrospective exhibition of Kilkenny Design Workshops 1963 - 1988'. Researched and curated by Joanna Quinn. Published by the Design & Crafts Council of Ireland in 2005. Read it here. Radio: 'Designing Ireland'. 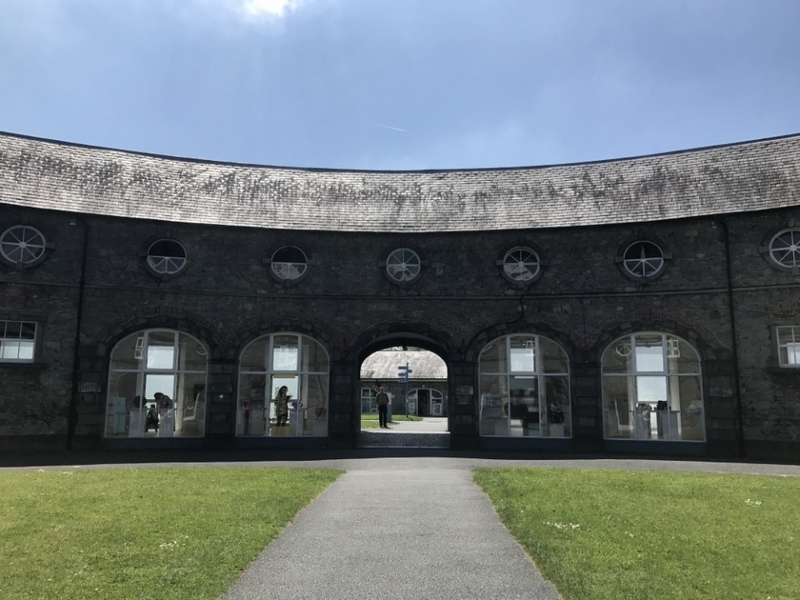 Design historian Eleanor Flegg goes in search of a pioneering Irish institution, Kilkenny Design Workshops. Broadcast on Lyric FM Radio on 31st December 2013. Listen here.